You can secure Master Files on a file-by-file basis. For each data source, security can be maintained at two different levels. Database Administrator Level. You specify the Database Administrator (DBA) password for the data source. The DBA has unlimited access to the Master File and data source and can set up or change security restrictions for individual users. Only the Database Administrator can encrypt (scramble) or decrypt (unscramble) a data source. For more information, see Encrypting and Decrypting a Master File. User Level. You specify the DBA and user passwords for the data source. The user password represents a user who has access to that data source. When you specify a user password, you must also set at least the type of file access: read, write, read/write, or update. Security for each user can be further limited by restricting access to segments, fields, or field values. For more information, see Restricting Access to Segments, Fields, Field Values, and Noprint. Once a user password has been established, you can apply the same restrictions to multiple users. For more information, see Applying Security Restrictions for Multiple Users. Note: You cannot specify a Database Administrator (DBA) password during the Create Synonym process. You must use the Synonym Editor. When security is specified, the Database Administrator or user, must enter a password to get access to the data source. When the DBA or user no longer needs access to the data source, you can delete their security. Before adding any type of security to a data source, the Database Administrator must be aware of certain DBA guidelines. See DBA Guidelines. In the Synonym Editor, click DBA from the Tools menu or click the DBA button from the Synonym toolbar. The DBA pane opens in the workspace, as shown in the following image. Right-click the file name in the DBA window and select Insert, then DBA. A default DBA password will be created for the Master File. You can change this value, delete it, add users to specify file restrictions, or add file names to specify data source-specific restrictions to the current data source. You can also specify a separate DBA file that contains DBA security restrictions. Note: When the password is created and the cursor is in that field, you can right-click and use the edit options to undo, select all, cut, copy, paste, or delete the password. In the DBA pane, right-click the DBA icon to insert user restrictions or specify a DBA file. Once you add a user you can continue to insert file access restrictions by right-clicking the user field and selecting insert. Select the type of access: Read, Write, Read/Write, or Update. 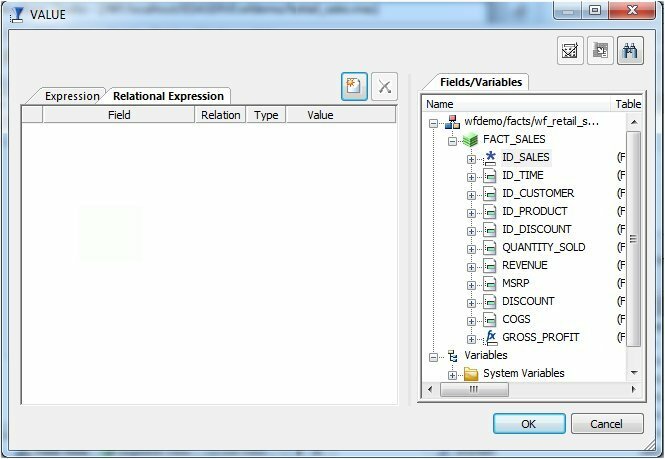 Specify the type of restriction for each option: Restriction to Field, Value, Segment, Noprint, or Same Restriction. Note: The Same Restriction option is activated when there are multiple users. Click OK to save the Master File with the user password and restrictions. Every file with access limits must have a DBA password. No segment, field, or field value restrictions may be specified at the Database Administrator level. The Database Administrator should have unlimited access to the data source and all cross-referenced data sources. Once security restrictions have been applied, the Database Administrator should conduct thorough testing of every restriction before the data source is used. It is particularly important to check field values to make sure they do not contain errors. If they are in error, user access to the field data will be unnecessarily restricted. All groups of cross-referenced data sources must have the same security restrictions. You must have a DBA password to encrypt and decrypt or restrict existing data sources. The Database Administrator can change any type of security restriction. Access levels affect the fields users can access. The Database Administrator must consider what commands each user will need. If a user does not have access rights, that user will receive a message. The following options are available from the DBA pane when the DBA password is selected. By default, the DBA password is the same as the user ID used to connect to the reporting server. Using the Rename option from the DBA password Context menu, you may enter a different password of up to sixty-four characters. This is the password of the DBA who will be creating and maintaining the current data source. The DBA has full access to the data source and the corresponding Master File, controls the access rights of other users, and has encryption privileges. See Encrypting and Decrypting a Master File. Select the name of the Master File that contains your DBA security restrictions. Other Master Files can use the DBA security restrictions in this Master File. Enter the name of the Master File to which user security will be applied. This option is used to add data source-specific restrictions to the current data source. It includes a FILENAME attribute for the selected Master File. The FILENAME attribute in the referenced Master File must be the same as the FILENAME attribute in the DBA section of the current data source. Enter the names (up to sixty-four characters) of users whose access rights will be granted for the current data source. Choose Read for full viewing rights. Choose WRITE to permit additions or changes to the data source. Choose READ/WRITE for both of the above. Choose UPDATE to permit changes to field values. When the file access is selected, continue to select the type of restriction you wish to apply. Choose Segment to grant access to all or individual segments. Choose Field to grant access to all or individual fields. Choose Value to limit access to values that meet a test condition. See Restricting Access to Segments, Fields, Field Values, and Noprint. Choose Noprint to specify fields you do not want to display in a report. Choose Same to apply the same restrictions as other users that are already set up. User. Is the user name written to the Master File. Name. Is the name of the Master File component selected (for example, the segment or field name). Access. Is the type of access restriction. Restrict. Is an option for File access restriction. Value. Is the value for which to restrict access. Read. Allows the user only to read (to view) the data source. WRITE. Allows the user only to write (add or to make changes) to the data source. READ/WRITE. Allows the user to read and write to the data source. UPDATE. Allows the user to update (make changes to) existing field values. If you specify only the type of file access, the user will have the specified access to the entire data source. If you want to impose additional limitations you can restrict access to segments, fields, and field values. See Restricting Access to Segments, Fields, Field Values, and Noprint. You can restrict access to segments, fields, field values, and Noprint fields in a Master File by specifying access restrictions for a user. When you specify what is to be restricted, such as segment, field, or value, you can then specify the type of access that will be restricted. Right-click the file access restriction and select the Segment, Field, or Value, or Noprint option from the Context menu. Segment. You specify the type of access for individual segments, as shown in the following image. The following image illustrates how a user can change a segment name. Field. You specify the type of access for individual fields. Value. You specify the type of access (read or write) and the test condition. The user is restricted to using only those values that satisfy the test condition. The following image illustrates how to change a field name used in a value field. The following image illustrates how to create a condition. This dialog box is presented after pressing the ellipsis next to the value field. Noprint. You can also specify not to display the data in that field using Noprint. If you specify Noprint for a field, the data will appear as blanks for alphanumeric format or zeros for numeric format whenever the user tries to retrieve it. You can specify restrictions for one user and apply the same restrictions to other users. This helps when you want to set the same restrictions for a group of users. In the DBA pane, right-click the DBA password and select Insert, then User. Right-click the newly added user and select Insert to specify the desired type of access restriction you would like to apply. Available access types are Write Access, Read/Write Access, and Update Access. Right-click an access type and select Insert, then Same Restriction. Note: The Same Restriction option is only available when there are multiple users. A drop-down combo box is activated in the Properties pane with a NAME attribute. Click the arrow on the drop-down combo box next to the NAME attribute in the Properties pane, and then select the user with the security restrictions that would apply to the new user. Security restrictions from the user selected in the drop-down combo box are applied to the new user. You can apply the security restrictions to other users by repeating steps 1 to 4. Note: You must have created at least one user security restriction to apply security restrictions to multiple users. You can delete a DBA password or security for a user when it is no longer needed. On the DBA pane, select the user password you wish to delete. Right-click and select Delete or press Delete on the keyboard. If you delete the user based upon whom you have assigned security restrictions for other users, you must reset security restrictions for all users attached to the user you deleted. Deleting a DBA password will delete all user security for that data source. On the DBA pane select the DBA password, then right-click and select Delete or press Delete on the keyboard. All security information is removed. You may use the Encrypt and Decrypt attributes from the Synonym Editor to scramble and unscramble some or all of the contents of a data source. When you encrypt Master Files, they are secure from unauthorized examination. Encryption at the data source level scrambles the entire contents of that Master File so it is unreadable. When you encrypt a Master File, you can decrypt it. Decrypting unscrambles the contents to its readable state. Before you can encrypt or decrypt any Master File, you must specify the DBA password. If you do not specify a DBA password, you will not be able to encrypt or decrypt the file. In the Synonym Editor, select DBA from the Tools menu or click the DBA button from the Synonym toolbar. Create and save the Master File with the DBA password. From the Synonym Editor Field View tab, select a segment from the Master File hierarchy (left pane). The values for the selected segment appear in the Properties pane on the right. Select the ENCRYPT check box. Click Save from the File menu to encrypt the Master File. At the encrypted segment level in the Master File hierarchy, clear the ENCRYPT attribute. Click Save from the File menu to decrypt the Master File.